There are many hotel loyalty brands at there which you can choose to earn points with your credit card spending and stays but some ofter better benefits to their loyalty members than others. Here is a comprehensive list of my favorite. Which hotel brands fit with your needs might be different, therefore review the list below and see which you want to focus your earnings as each hotel brand offers different benefits and amenities to it’s members. Truly rewarding Hotel Loyalty Program has great benefits for guests to put up at the hotel chain. 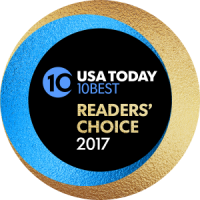 It does not have too expensive award categories. Stay at the Grand Hyatt in New York City costs the highest points. Park Hyatts in Tokyo, Sydney, Paris and Maldives requires lower reward points than the Grand Hyatt. As long as you’re putting up for at least three nights, Hyatt Hotel chains allow you to confirm a suite when booking rooms using reward points. Get to book for a stay at one of the premier suits at just 50% more pay than the normal rooms. For those that would like to upgrade their stay to suits, a Hyatt standard daily rate for guests charges you just 6000 points for four nights. However, if you check the Starwood Hotel benefits, for the same suit booking you’ll have to expense 80,000 points! That’s quite huge. When it comes to suite upgrades Hyatt’s top Diamond Level is certainly the best for suite upgrades. Confirmed for suite upgrades at any Hyatt rate booking for up to seven nights, at least four times per year. Full service properties guaranteed for up to four registered guests. 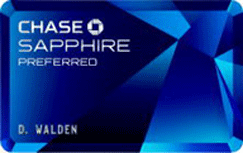 With Chase Sapphire Preferred, Ink Plus Cards, and Ink Bold lets you get Chase Ultimate Rewards Points. Getting the Elite Status with Hilton is easy. Just sign up for Citi Hilton Reserve Credit Cards to get Gold Elite Status. So, it’s just an upgrade that easy to get with Thei properties being located almost everywhere. Guests can avail free internet and breakfast. These points have been evaluated and since March last year aren’t that effective as they were earlier. But yet again if you’re a frequent traveler who doesn’t stay much and can earn elite status, the program can be your key to get the best treatment ever when staying at the hotel chain. The amazing no capacity control on rewards points ensures that if standard rooms are available you can have them on points. This was an idea pioneered by the Starwood Group of hotels with an incredible portfolio. It comprises of high-end luxury properties than ever found in any of the major Hotel Loyalty Programs. The Starwood’s chain has some of the best hotels from around the world. Top-notch uber luxurious hotels in Maldives, Bora Bora, Rome and Zurich belong to Starwoods. In fact, it is the single most lucrative Hotel Program that can be availed by shelling out your credit rewards. Until recently known as Priority Club, IHG Rewards offers points for Holiday Inn, Intercontinental, Crowne Plaza, and brands related to the chain. Earn generous rewards for hotel stays, but doesn’t allow you to redeem more points for an award stay to get a better room. 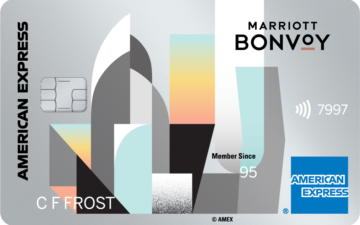 The Hotel Loyalty Program doesn’t give elite members many benefits when staying on points either. Marriott hotels are everywhere and are a chain popular around the world. Known for its consistency, although some improvements occurred over the past year the hotels aren’t known for their generosity. Rewards program has a highest at 75 nights to earn top level elite status. Recently, Marriott introduced breakfast seven days a week, but the benefit doesn’t apply for the Marriott Courtyard resorts or properties. Also, there’s no way to guarantee a suite as is with Hyatt and Starwood hotel chains. Recently announced the benefit and redemption facilities under the Hotel Loyalty Program that allows guests to have a choice of rooms when redeeming points for award night programs. They’ve allowed redeeming of additional points for stay at hotel rooms that can be clubbed with paid nights to count for Elite Status. Also, earn points on food and beverage purchases. Members can earn 20 points for each dollar spent with award nights starting at 9,000 Gold points. Elite Tier members earn bonus points – 15 percent for Silver and 35 per cent for Gold. 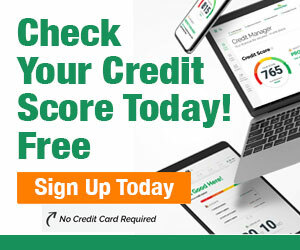 Enjoy options of prepaid cards, airline miles, and more. The Fairmont President’s Club program is perfect choice for frequent fliers who prefer high-end hotels.The program gives its members access to a wide variety of complimentary perks, including free WiFi, discounts on spa treatments and products, complimentary newspaper delivery each morning, and more. Additionally, all Fairmont President’s Club members gain exclusive access to discounted vacation packages, along with the ability to earn airline miles of their choice for every hotel stay. Free Rooms & Suites at Drury & Pear Tree Hotels for 7,500 & Up, $50 Charitable Contribution 15,000, Drury Free Night Certificate at 20,000 points, $50 Retail Gift Cards 20,000, 5,000 Airline Miles 25,000, Free Rooms in Vacation Destinations 40,000 & Up, Cruise Vacations 125,000 & Up.